Cruise Lines International Association (CLIA) partnered with the Society of Incentive Travel Executives (SITE) to educate and promote cruising during the network of meeting and event professionals’ annual global conference which took place in Orlando this week. Eleven CLIA cruise line members came together to sponsor the SITE Global Conference with opportunities for attendees to expand their knowledge on the variety of cruise ship options, from luxury to contemporary, and to review the benefits for both the corporate and the meeting planner of selecting a cruise ship. This was the first year the cruise industry has had a major presence at the conference, including CLIA Vice President, Business Development Didier Scaillet as a keynote speaker during a CLIA breakfast. “CLIA is here to provide assistance and information for incentive travel professionals to make their job easier when planning motivational events and selecting the right cruise for their corporate group," said CLIA President & CEO Christine Duffy. The SITE event, which took place Dec. 7-10, 2013, included 400 motivational events and incentive travel professionals representing more than 250 industry organizations from 47 countries. In addition to CLIA’s keynote session on the “Current State of the Cruise Industry and Its Strategic Efforts with the Meetings, Events and Incentives Community,” the SITE Global Conference offered, in partnership with CLIA, several options for planners to deepen their knowledge and understanding of booking corporate groups on cruise ships. A breakout session from industry leaders on cruise line current and future trends and diversity and innovation of today’s cruise ship product was moderated by Scaillet, as well as CLIA providing four hours of learning sessions for a Cruising and Incentives Certificate Course. A pre-conference cruise and conference cruise ship tours also represented a major commitment by the cruise industry to deepen the knowledge of planners for new avenues of sales. CLIA Member Cruise Lines participating in the event included Carnival, Celebrity, Holland America Line, Norwegian, Oceania, Regent Seven Seas, Royal Caribbean, SeaDream, Seabourn, Silverseas Cruises and Windstar. 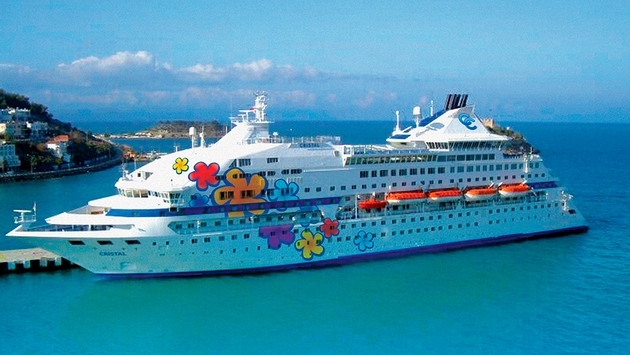 During Scaillet’s keynote speech he stressed that cruising for meetings and incentive groups represent exceptional value as a cost-effective, all-inclusive option with room, meals (with customized menus available), daily entertainment, shipboard recreation and activities, travel from destination to destination, and conference facilities with AV equipment, and décor all included in the budget. The breakout session on cruise trends included results from the International SITE Foundation Cruise Study. An overwhelming majority of survey takers felt that incentive group guests, individual incentive travelers and meeting/conference group guests would occasionally prefer a cruise over a land program. The vast majority also stated they would recommend a cruise ship for incentive group events, individual incentive events and meeting/conference group events. The most popular regions where survey takers listed they or their customers would most like to cruise were the Mediterranean (85.3 percent) and the Caribbean (82.6 percent). “These results indicate such a strong interest in cruising for corporate events that we predict this market to increase year to year, especially with CLIA and its Cruise Line Members doing everything we can to help meeting professionals provide the best options and service to their clients,” says Duffy.